I SOMETIMES feel like the old song, Oh I do like to be beside the seaside!, was written for me. Watching little boats bobbing on the water, listening to the crashing waves, it’s my idea of heaven. 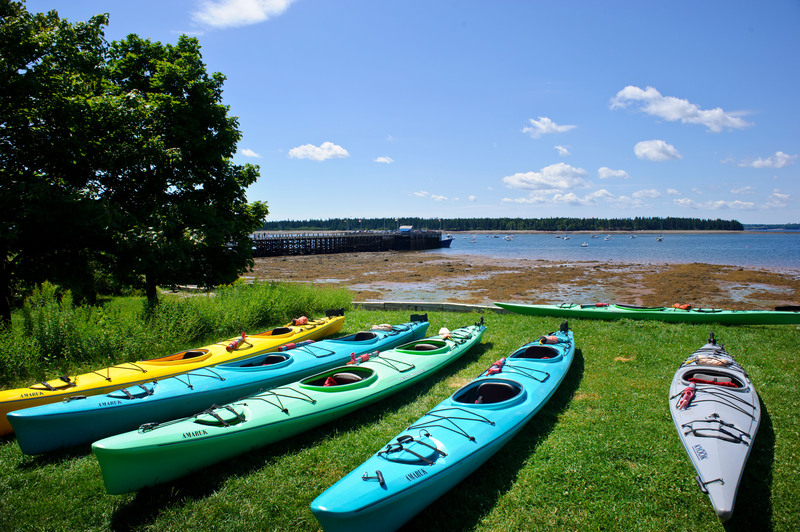 And, if that’s what floats your boat, you’ll love St Andrews By-the-Sea on New Brunswick’s southeast coast. 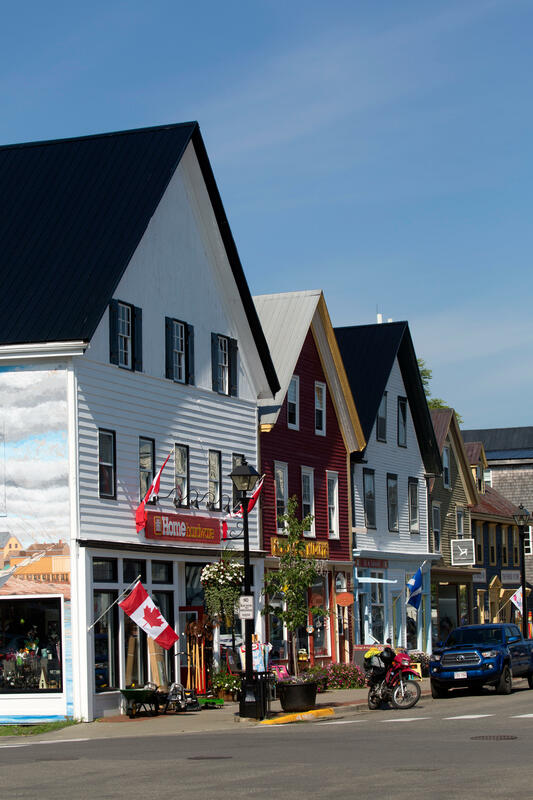 It’s a tiny little Canadian town, but one jam-packed with beautiful shops, great restaurants and fun adventures. So, while St Andrews By-the-Sea may be small, it’s mighty when it comes to perfect vacation destinations. After a hearty buffet breakfast at the gorgeous Algonquin resort, we caught a water taxi to Campobello Island. Campobello is joined to Maine, USA, by a short bridge, but is Canadian. There we met Peter and Bea of Campobello Sightseeing who made sure we saw everything the island had to offer. First stop was the Head Harbour lightstation, which is only accessible at low tide. Beautifully restored by local residents, it sits on the northern-most point of the island. The coastguards are only called if the light goes out; everything else is maintained by locals and donations. Bea drove us round the island, sharing stories of local history and pointing out a couple of bald eagle nests (she has a passion for birds). She tells us the Owen family ran the island as a feudal estate for nearly a century. Admiral William Fitzwilliam Owen, the son of the Welsh captain who was granted the island in 1769, built the Owen House in 1835. The current owner gave us a brief history of the house while we admired the stunning views from the gardens. One of the island’s claims to fame is that President Franklin Roosevelt and his wife, Eleanor, had a holiday cottage here. It’s said to be the only place Eleanor felt she could be herself. 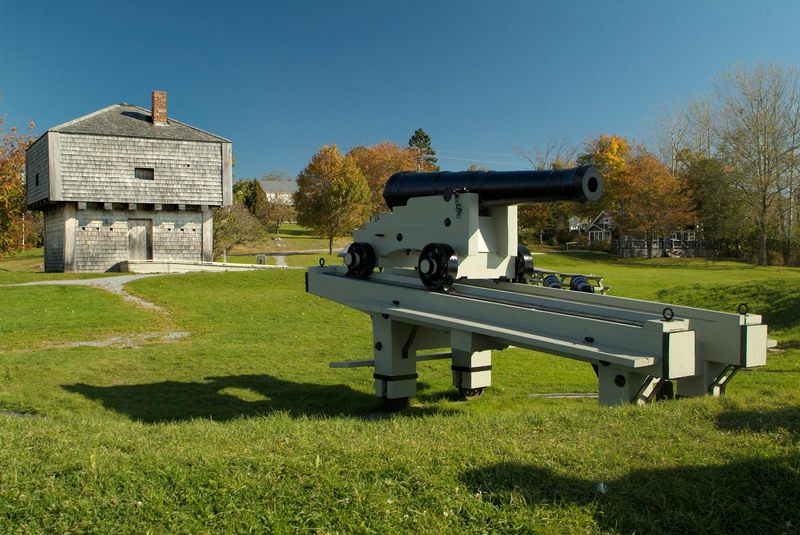 Around a third of the island, including the cottage, is run by the Roosevelt Campobello International Park, jointly staffed and funded by the peoples of Canada and the United States. The “cottage” is free to enter and is immaculate throughout. All rooms are as they were when the Roosevelts stayed there in the early 1900s. On the kitchen table sat a pot of Keiller jam – one of the many links to my home city, Dundee. All too soon it was time for our water taxi back to St Andrews and one of the local hostelries for something to eat. All the local people were friendly but probably more so in St Andrews. Whenever they heard a Scottish voice, they were keen to talk, particularly if they’d visited Scotland. Our last stop was Alma, via the Fundy Trail Parkway that hugs the coastal cliffs with viewpoints every few hundred metres and has lots of hiking/cycling paths to tackle. Next year the roads in Fundy Trail Parkway will link with the Fundy National Park in Alma. As that’s not yet the case, our sat nav sent us on a hair-raising journey into the forest on a dirt track more akin to a rally track. While we have no doubt it was correct, we were driving a beautiful, bright red Dodge Charger and quickly gave up to head back to proper roads and find a car wash! Alma is a little fishing village with a few shops, restaurants and B&Bs, ours being Falcon Ridge Inn, set high on the hill overlooking the bay. The Bay of Fundy boasts the highest tides in the world and was the view from our window. I would never tire of looking at the changing landscape and tides. Falcon Ridge had thoughtfully provided information in each room on the area, including menus for all the nearby restaurants. We walked to our choice and enjoyed our meal facing into the harbour, a good idea until we both ended up a bit chilly in the evening sea breeze. We stopped at the newly-opened Holy Whale Brewery to heat ourselves up with one of the venue’s famous boozy coffees. The Rhubarb Berliner, one of the beers made on site, was nice, even to a non-beer drinker like me. Breakfast at Falcon Ridge was amazing, lots of fresh fruit followed by home-made pancakes. We had a wander around the immaculately-kept Fundy National Park. At 12 locations they have big red chairs waiting to be discovered. They are placed in awe-inspiring spots picked by staff. All of the national parks in the area run this scheme; a perfect way to spend our last morning, admiring the views. As we headed back to Halifax airport, we stopped at Hopewell Rocks where visitors are invited to walk on the ocean floor. The rock formations are caused by tidal erosion and stand 40-70 feet tall but around a third is covered when the tide is in. The tide was out but I’d love to go back when it’s in. Our New Brunswick road trip was one of the most memorable holidays we’ve had and it’s a place we will definitely return to. Kaye Gallacher visited as a guest of Tourism New Brunswick. A 10-day self-drive trip from the Independent Traveller costs from £1,705. Visit itiscanada.co.uk/nbautumn.php for more details. Non-stop flights from Glasgow Airport to Halifax on WestJet Airlines start at £455 per person return, then a three-hour drive to New Brunswick.